Production has started this week here at Lough Ree Distillery, the creative juices are flowing, and two integral parts of the operation have arrived, our still and our distiller! Claire, our master of the still, hails from the Rebel County, and has brought great confidence and conviction to our production team. Claire started her journey in University College Cork, where she studied Food Science, but soon found her love for Irish Spirits and pursued her studies in brewing and distilling at Heriot-Watt University in Scotland. She had previously worked in Irish Distillers in Co Cork. This is Claire’s first time developing a Gin; she is working alongside Julia Nourney, an award winning spirit judge, writer and developer to produce Irelands finest Gin. I think we are in safe hands! 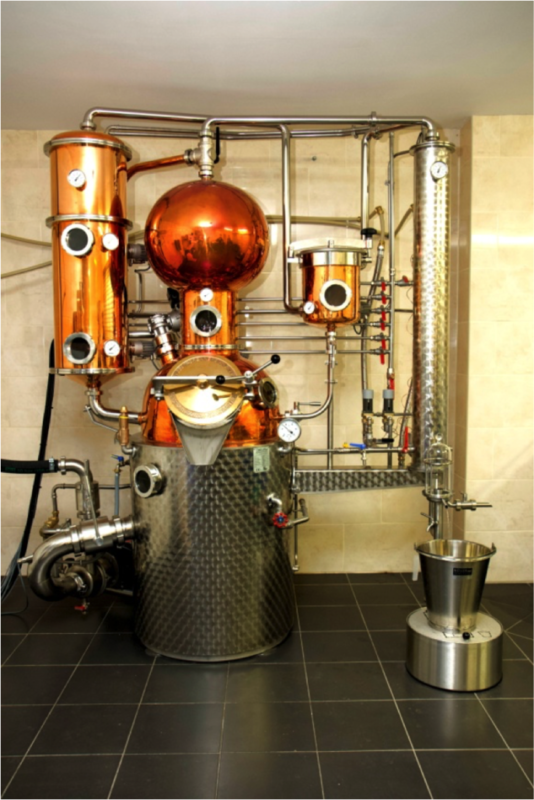 Our still is a bespoke copper pot still, developed by Mueller in Germany. It has a capacity to hold approx 150 Litres and has the ability to produce a distinctive spirit of high refinement and concentrated flavour. The flexible design of the still allows us to be creative and innovative in the production of not only our Gin but any future spirits created by Lough Ree Distillery. The ability to adapt and tailor our production means we can develop custom, small batch distillates. Julia, Claire and the team have had great fun experimenting with a wide range of traditional botanicals as well as unique local ingredients. Keep your eyes peeled over the coming weeks as our Gin starts to take shape! To keep up to date with our blog posts, register with your email below. You can also follow @LoughReeDistillery on Facebook or @LoughReeDistill on Twitter & Instagram for daily updates.